Hosted by Jon Kulp on 2013-06-24 is flagged as Explicit and is released under a CC-BY-SA license. I have known windigo for more than 4 years as a virtual acquaintance, first on the Linux Outlaws forums, then on identica, and finally on the Federated Statusnet network. It was awesome when he and his girlfriend stopped by my house today to visit while on a massive road trip around the United States. We took advantage of the opportunity to record a brief conversation for Hacker Public Radio. 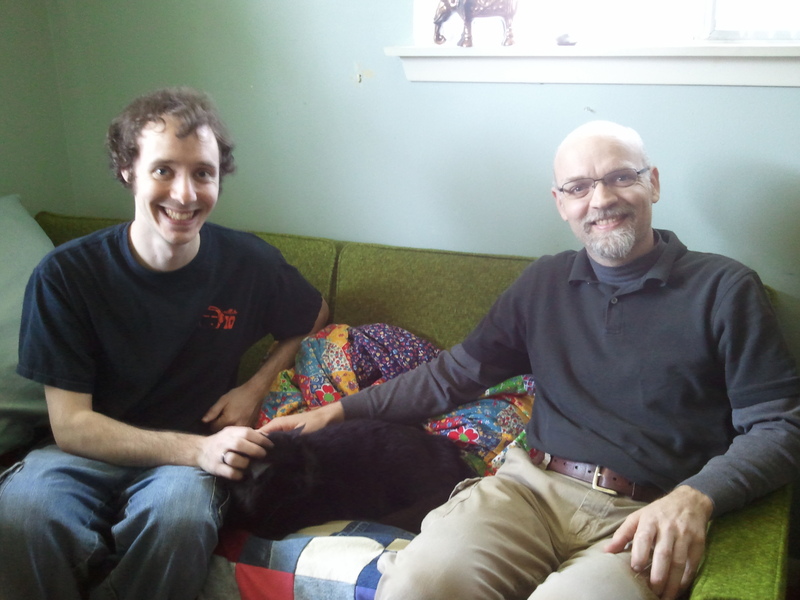 Here's a photo of windigo, me, and Dingle the cat between us.